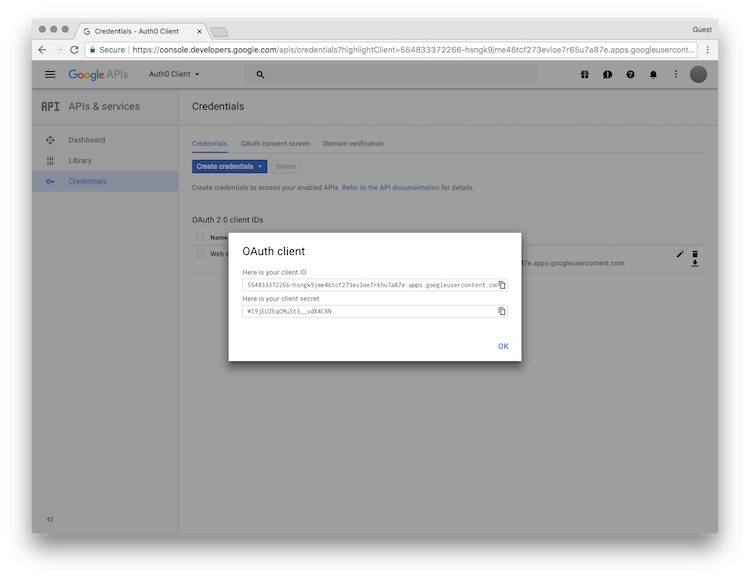 You can connect your Zaius account to Google Apps by providing the Google Client ID and Client Secret to Zaius. 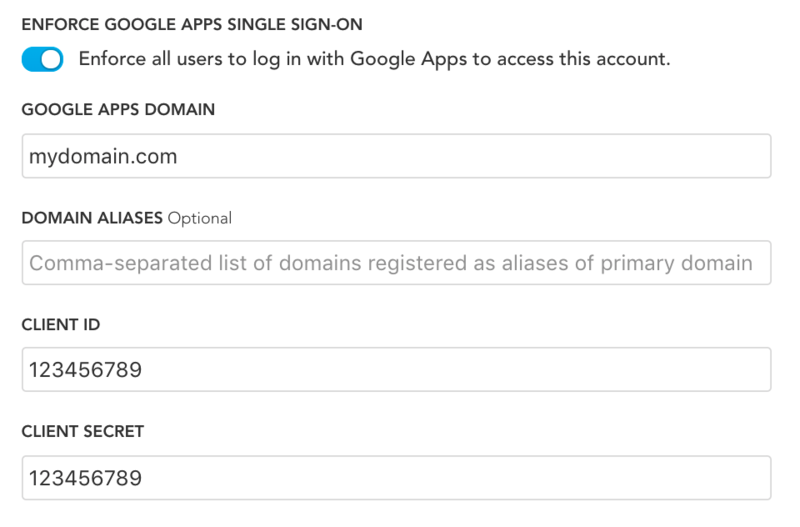 When Google SSO is enforced, all users must login with Google. All users must have a domain that matches the domain configured (or one of the domain aliases of the primary domain). For example if your domain is configured as acme.com, all users must login with an acme.com email. The email in Zaius must be the primary email within Google, not an email alias. 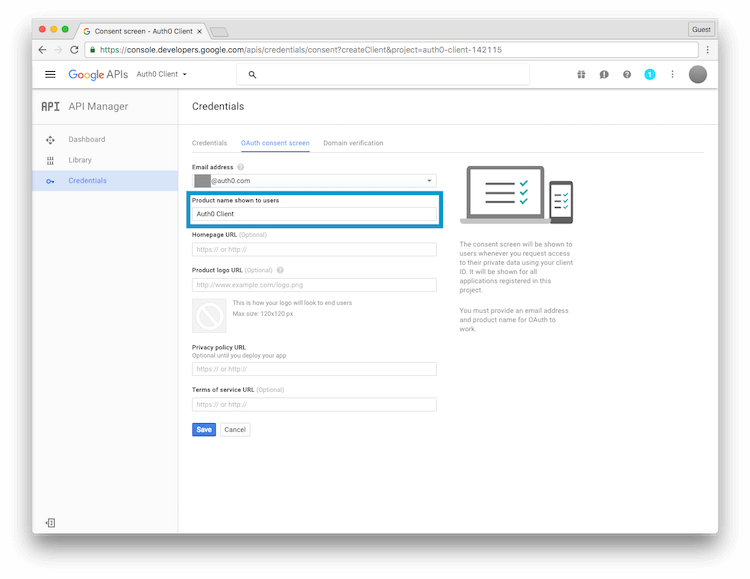 If SSO is setup, but not enforced, users can login with either SSO or Zaius credentials. If users were added during the enforcement period they will have to request a password reset email on the login page. Navigate to the Library page of the API Manager. 3. On the Admin SDK page, click Enable. 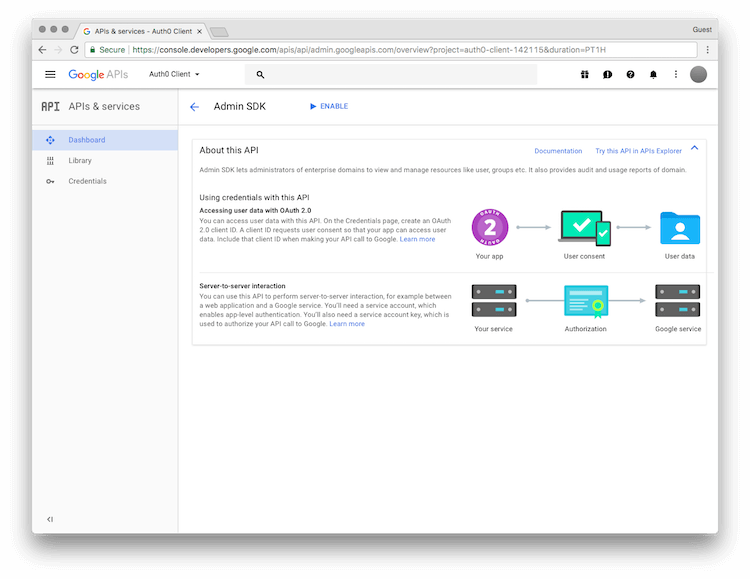 While logged in to your Google account, go to the API Manager. While you are on the Credentials page, click on Create a project. Google will take a moment to create your project. When the process completes, Google will prompt you to create the credentials you need. 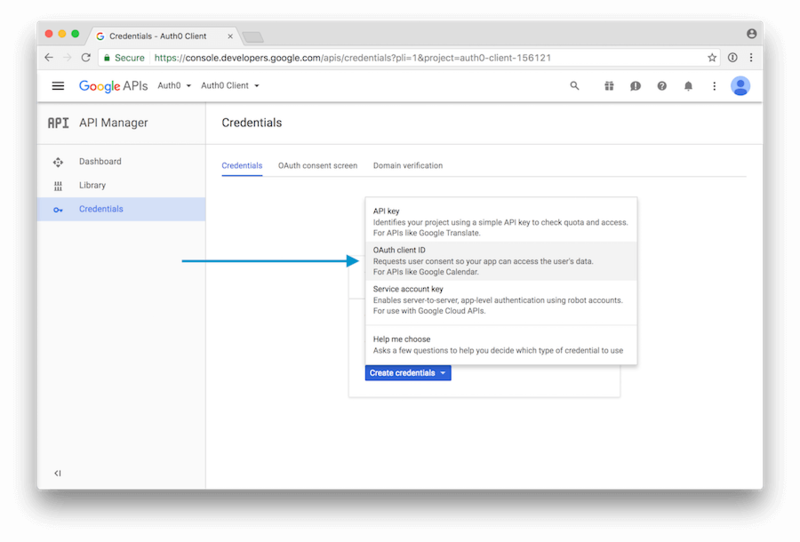 Click on Create credentials to display a pop-up menu listing the types of credentials you can create. Select the OAuth client ID option. At this point, Google will display a warning banner that says, "To create an OAuth client ID, you must first set a product name on the consent screen." Click Configure consent screen to begin this process. Provide a Product Name that will be shown to users when they log in through Google. Google may show an "unverified app" screen before displaying the consent screen for your app. To remove the unverified app screen, complete the OAuth Developer Verification process. At this point, you will be prompted to provide additional information about your newly-created app. Select Web application, and provide a name for your app. Note: If SSO is setup, but not enforced, users can login with either SSO or Zaius credentials. If users were added during the enforcement period they will have to request a password reset email on the login page. 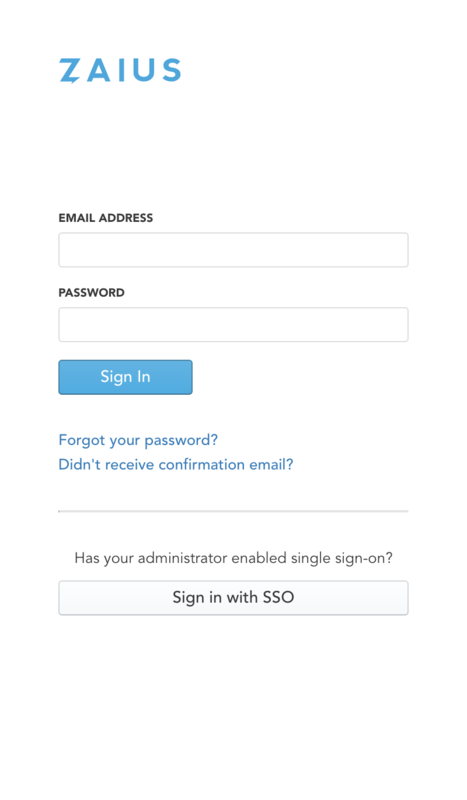 When on the sign-in page, click the "Sign in with SSO" button to login.